That's how many members of Ali Qasm's Aalw's were kidnapped by ISIS when they fled Sinjar/Shangal in early August. 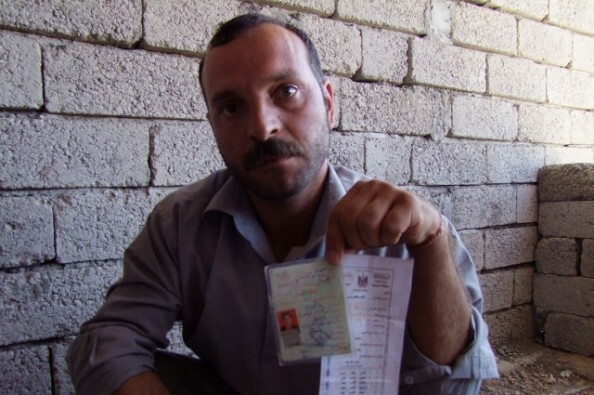 Ali, a 39-year-old Yazidi man, has not heard from his mother, grandmother, or father. His sister managed to keep her phone when she was kidnapped, but the last time he called her ISIS militants answered and yelled at him. That's how many families live in four unfinished houses near Duhok, in Iraqi Kurdistan, 467 people in total. Ali's family lives in one of these houses with eighteen other families, which has no doors or windows and will need huge improvements to house the families for the winter. These families are out of reach of aid from the Iraqi government and other international aid agencies, and many are missing family members. Three human rights non-governmental organizations (NGOs), the German-Kurdish organization Wadi, the international organization Christian Peacemaker Teams (CPT), and the Duhok-based Alind Organization, are building relationships with these families to provide various kinds of support throughout the coming months. That's how many Iraqis have been displaced by ISIS in the last eight months, which has overwhelmed local and international aid agencies. CPT is not a humanitarian aid organization, but will accompany Wadi and Alind in their work, build relationships with these families, and share their stories and needs throughout the process. With your help, Wadi and Alind will acquire adequate shelter, food, clothing, education, and psychological support for these Yazidi families. By working with these ninety families, Wadi and Alind can make sure that your donations are always being put to use in the most effective way possible. Wadi and Alind are based in Kurdistan, so your donations will reach these families very quickly. Already with the first donations, Wadi purchased mattresses and delivered them to the families. Donate now and share widely on your social networks. Later donations will provide for needs such as building renovations for winter, educational resources, and psychological care. As the situation changes, Wadi and Alind will continue to assist these families as they return home, as well as providing psychological and other necessary care for kidnapped women who will one day return. Please join us in supporting these families, and together we can begin to heal the wounds for war. We will continue to update you as the situation and needs change. Thank you for your support!